The orange letters were taken off the press box at Waterhouse Field sometime Thursday night, the superintendent says. Bits of the “Tiger Pride” sign and nails mark the place where it hung before it was stolen from Waterhouse Field in Biddeford late Thursday. 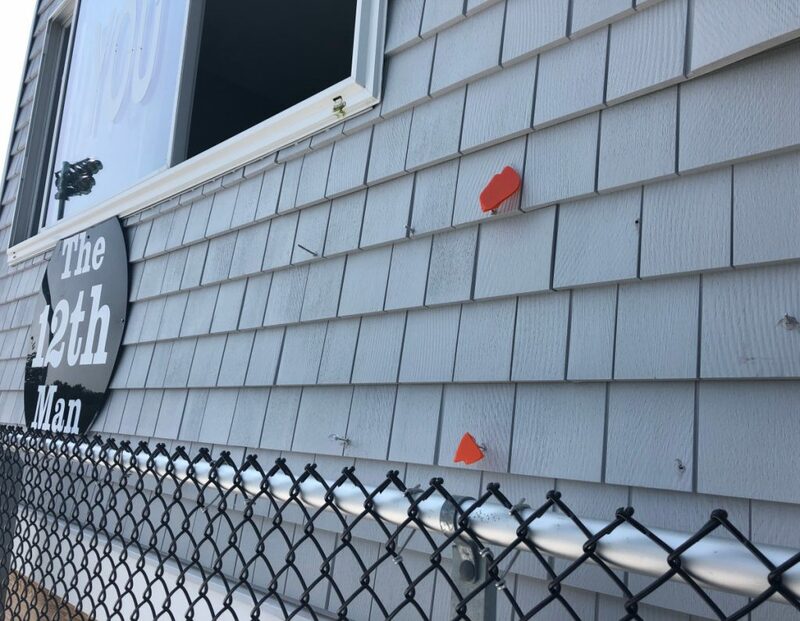 Police are investigating the theft of a sign at the newly renovated Waterhouse Field in Biddeford. Thieves made off with orange letters spelling out “Tiger Pride,” but Superintendent Jeremy Ray says that pride remains as strong as ever. Ray said the theft occurred Thursday night. Volunteers had been at the field until 9:30 p.m. after putting some finishing touches on an 18-month renovation of the athletic facility. The project included a new turf field, bleachers, a press box, lights and groundwork. Much of the project was done with funding, supplies and labor donated by the community. The theft was discovered around 11 a.m. Friday, Ray said, valuing the loss at over $1,000. Ray said the first field hockey game is scheduled to be held next Friday at the field, before the grand opening on Sept. 7. He said new lettering will be ordered and installed as soon as possible. 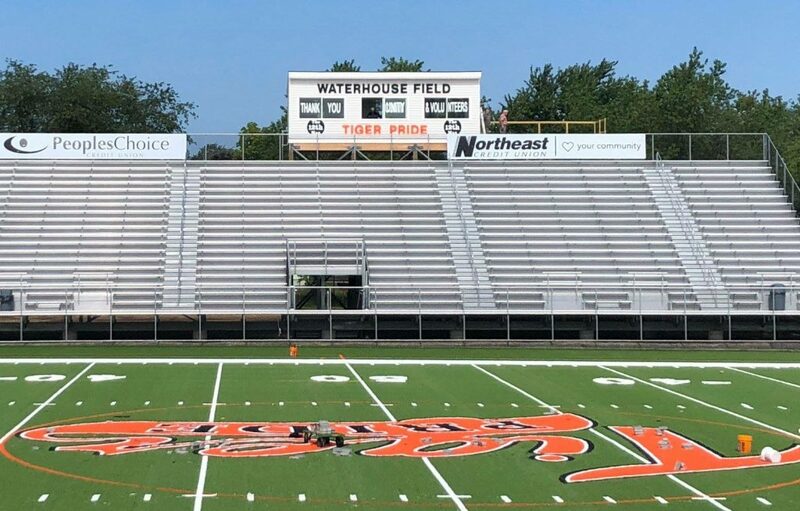 Biddeford Superintendent Jeremy Ray said said the theft of the “Tiger Pride” sign at Waterhouse Field “will be something that will just make us stronger. New security cameras are scheduled to be installed Monday, he said. Bil Moriarty , a former school board member whose daughter recently graduated from Biddeford High School, said he and other community members are upset by the theft, especially because the project was nearly finished. Moriarty echoed Ray’s words about Tiger Pride. “Even if the words aren’t there, we all feel it and we all know it,” he said. Biddeford police did not have any information to release Friday night, but Ray said they were “working diligently” to find the culprit or culprits.